A circadian rhythm is any biological process that displays an endogenous oscillation of about 24 hours interacting with the environment(https://en.wikipedia.org/wiki/Circadian_rhythm). These 24-hour rhythms are driven by a circadian clock, and they have been widely observed in all living species. The rhythm is linked to the light–dark cycle. The environmental cues that reset the rhythms each day are called zeitgebers (from the German, "time-givers"). Light is the most important timer for our internal clock. Even a single biological cell experiences a biological clock. We need light to wake up in the morning and darkness to fall asleep at night The true value of light lies in the combination of excellent visual, biological and emotional benefits. Light affects sight, feeling of safety, orientation, alertness, cognitive performance, sleep/wake cycle, mood, energy and relaxation. As mammals, our eye lenses deteriorate with age and thus aging people need more and better light to see and to influence their circadian system. A 70-year-old person needs two times the amount of light compared to a 30-year-old person. In the EU in 2020, 41% of population will be above 50 years old. Buildings are built to protect us from outdoor weather conditions (rain, cold/warmth), allowing us to live and work in comfort. Good lighting is a basic requirement for people in a healthy building, besides air quality, thermal comfort and acoustics. Good lighting using lighting systems reacts instantly to user needs, thereby reducing energy use and enhancing usability and comfort of the space. 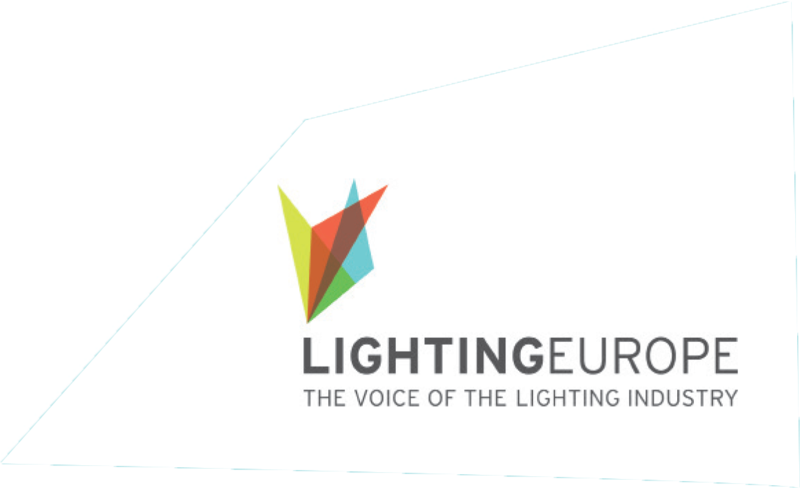 Minimum light quality requirements are described in European standards (EN 12464-1). We need the right light for our activities at the right place at the right time. This requires intelligent and digital lighting. •	Dynamic lighting allows dimming and boosting of light intensity. 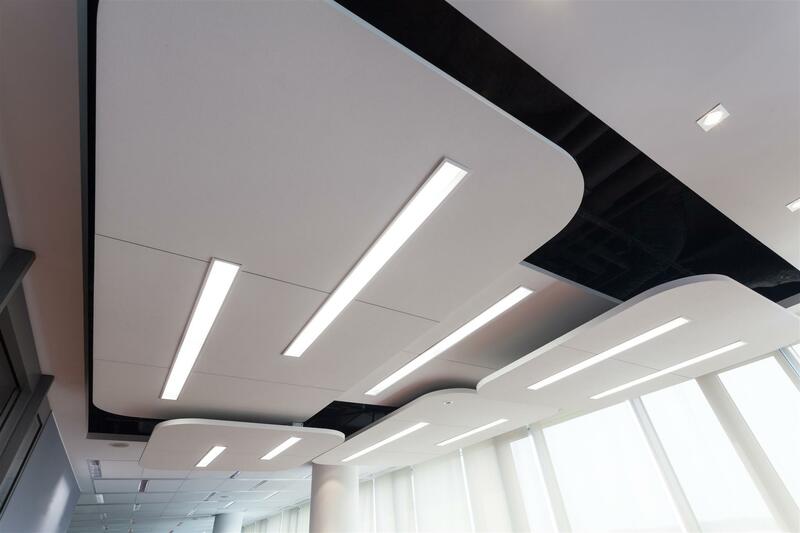 •	Tuneable lighting allows variation of the light spectrum. •	Dynamic and tunable lighting enable Human Centric Lighting. HCL supports health, well-being and performance of humans by combining visual, biological and emotional benefits. Good lighting minimizes the impact on the environment. Good efficient lighting in a building is a combination of daylight and electric light. The EU has set a course for a superior built environment reducing CO2 and creating prosperity and wellbeing with the new Energy Performance of Building Directive (EPBD). These goals will be met through deep levels of energy efficiency and putting people in the centre of all our efforts as this makes more business sense. Buildings were created to protect us from the unfavourable conditions of nature helping us to develop our activities comfortably and efficiently. But we have followed an additive process in the history of building evolution, solving problems with fragmented solutions. The result is that they are less effective and more expensive to build and maintain. In addition, they isolate us from the positive aspects of nature such as the dark/light cycle and its relaxing beauty so important to our mood and physiology. 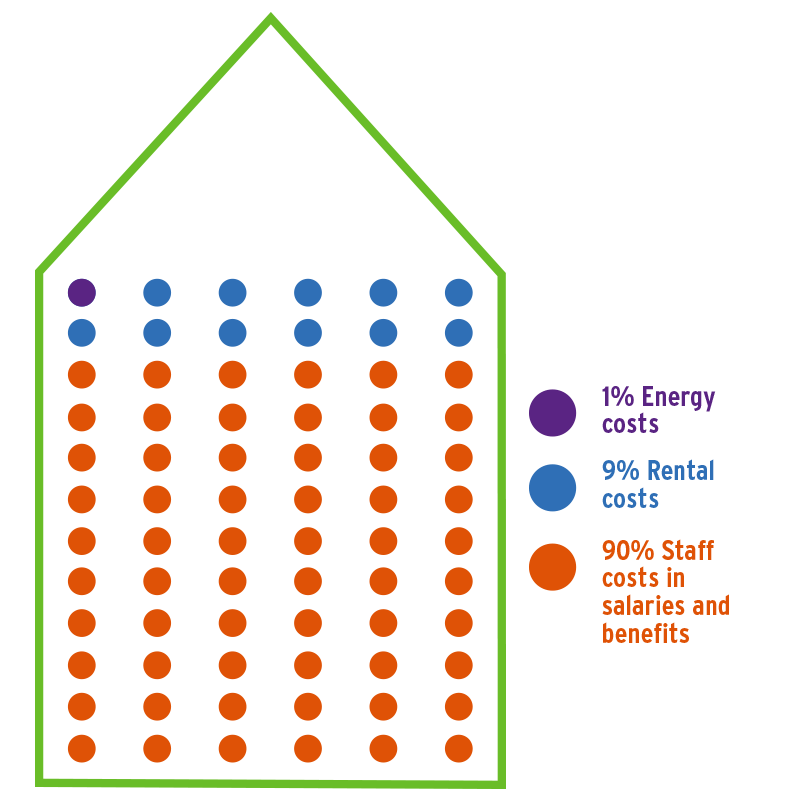 If the cost of energy is only 1% of the typical operating costs of a building, why do we only focus on saving energy and not also on having healthier, happier and more efficient people? In the study conducted by CBRE https://www.cbre.nl/en/healthy-offices-research/juiste-verlichting a finding was the increase in people's performance of 12%, when the correct lighting was applied. Additionally, control systems compile data for example about the space occupancy. This leads to a better understanding of the usage of space and what space is actually needed. The result can be an increase in usage efficiency of up to 30%, leading to lower rental cost. A Zero Balance Building (ZBB) project must consider all costs, including energy consumption, dimension of the building and features to help people enhance their health, wellbeing and performance. Adding up all benefits can reduce drastically the payback time of the investment. The focus must be on energy efficiency and on benefits for people. Human Centric Lighting will play an important role to realise healthy buildings.